Marianne is a counsellor and art therapist. She is passionate about empowering her clients and facilitating their journey of change towards optimal well-being. Marianne’s interest lies in supporting children and parents though major life-transitions such as marital separations and the co-parenting process. She holds two post-graduate degrees, a Masters in Counselling and a Masters in Art Therapy. Marianne gained clinical experience through her work in a large-scale psychiatric hospital, an NGO dedicated to supporting families during a cancer diagnosis, and through private practice. 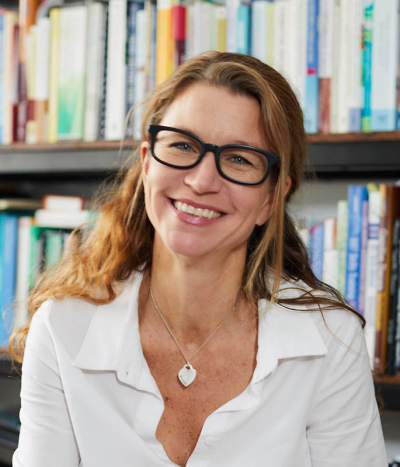 Marianne frequently holds parenting and wellness workshops at International Schools and Universities in Hong Kong. As a therapist, Marianne uses a multi-modal approach tailored to each individual client. Marianne has extensive knowledge of parenting strategies, and is herself a parent to three boys. Furthermore, she is trained in art psychotherapy, trauma sensitive approaches, short-term dynamic therapy and group psychotherapy, as well as CBT, Positive Psychology, Emotion Focused Therapy, Mentalization, Bowen Family Systems Theory, Dyadic and Family Art Therapy, Family Conflict Resolution and Mindfulness. Building on the client’s strengths, the specific therapeutic interventions are uniquely designed to foster open communication, promote insight, engender change and maintain positive changes. Marianne is a Registered Art Psychotherapist (AThR) with the Association for Arts Therapy in Australia and full member of the Hong Kong Psychotherapy Society, serving on the committee. Additionally she is a professional member of the Hong Kong Art Therapy Association as well as member of the British and American Art Associations. Before Hong Kong, Marianne lived in Frankfurt, London, New York, and Singapore. Marianne can provide therapy services in both English or German, and has working knowledge of Italian.